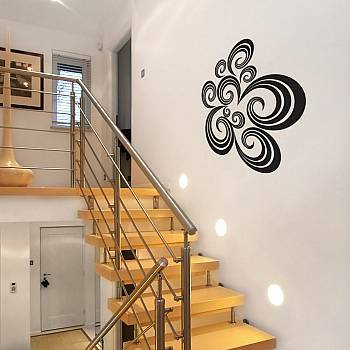 Or go for something whimsical and unexpected, like these swirls and spirals. The options are almost endless. They have animals, birds, trees, and flowers. 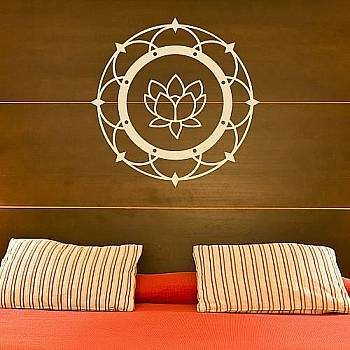 You can put even them on furniture, like the lotus flower at the top, which is on a headboard. To win a $50 Dali Decals gift certificate, simply leave a comment on this post before Thursday, July 2. You’ll also earn an entry if you join the blog party today and add your link below. All participants will be automatically entered. Oh, and if you’ve got a sense of humor and think you can handle it, check out the, um, unique Toilet Decals they have. You read that right. I told you the options are almost endless! Ha. Double-check to make sure your link works and goes to the right page so it doesn’t get deleted! If you come back and see your link is gone, re-read these rules and try again next week. 3. TK – Been there? 41. Robin~All Things Heart and Home~Chalkboard Nook! 89. Teresa @ Eclectic Pink Rose (hooked on Lunching in Style!!) Come by and see!! those decals are beautiful. i really like the dandelion one! 🙂 and the toilet decals are funny too. DesignTies’s last blog post..Fun & funky tassels… and you can win one!! We could have really used the bathroom decals a few years ago. Too fun! Like the family crest. TheOldPostRoad’s last blog post..A tub with no shower? No problem. Aren’t these neat? Very different. I NEED that bird on a branch!!!! Love the decals! Happy (almost) Friday! Thanks for hosting, Julia! hahahaha I love the toilet decals. hilarious! I love the bird and tree decal. It’s such a peaceful looking scene. Oooh, that lotus pattern is lovely. I’d be thrilled to have that in our bedroom. I love these wall decals! I have the site in my ‘favourites’! I can’t decide which one I love the best! ooh, sign me up! how cool!! 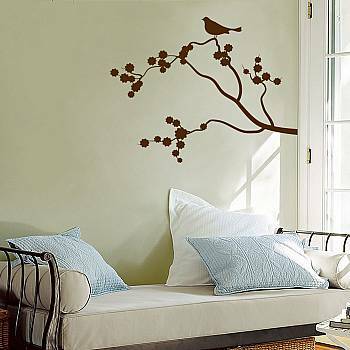 i have a friend who painted something like the branch and bird on her wall, but I don’t have that talent – give me the decal!!! Birds sitting on a Powerline decal – very clever! I have been a fan of the decals for a few years, but I haven’t been able to afford them. They are so fun and whimsical. These things are so great! We have lived in so many different military housing units (and I’m sure have many more to go) where you couldn’t paint anything. 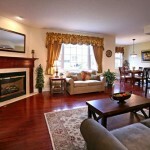 This gives people a way to customize and decorate their homes without damaging what doesn’t belong to them! I love these! I had seen another company that was offering something similar a while back for a lot more $$ 🙂 And I don’t see anything wrong with the toilet decals, maybe just not in the guest bathroom? These decals are so cute! I have several areas in mind already! Such great decals! I love vinyl. Sign me up, please! Tricia’s last blog post..A Chalkboard Love Party! I’m not a huge fan of decals…, I do like the one with the diver on the tub though (when I clicked through). Thanks Julia for the party!!! Love this giveaway. I really like the family decal. Thanks for hosting such a great giveaway. Love all of the decals! It’s a new thing to me, but I think I must start using them around my house! hahaha the toilet ones are funnny!! Daly Essentials’s last blog post..Zebra Print! Great decals! I especially love the first and the last. AnNicole@OurSuburbanCottage’s last blog post..How to make a "Chandelabra"
Love those decals! I have several spots in my home that could use that kind of dressing up! It Feels Like Chaos’s last blog post..I have no idea where they get this stuff! Oh, I am just dying to get my hands on some of those!!!! 🙂 I think my boys wouldve really liked the commode decals. I love the tree branch with the birds! I’ve been looking to buy one of those for a long time. I hope I win! Rachel’s last blog post..Thankful Thursday – Almost over! Those wall decals are so neat. LOL about the toilet decals. What a great giveaway! Wouldn’t mind having one for my bedroom. Nancy’s last blog post..Happy days! Those are some of the best decals I’ve seen! The toilet ones are hilarious! Decals are the best invention ever. So much more fun than wallpaper. I HEART these decals! The toilet ones are hilarious! Thanks for hosting another great link party. Those decals are gorgeous! Just the thing to brighten up my wintry Melbourne walls …. Flickettysplits’s last blog post..What would Jung make of this? These are wonderful. 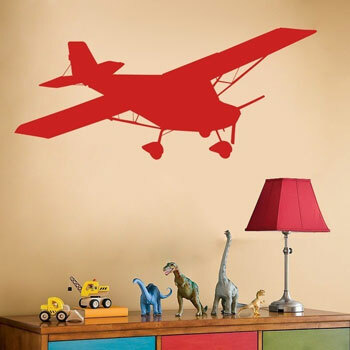 My son would love the airplane in his room. Love those decals – I really would love one for our holiday cottage. Keep Calm and Carry On – that should be my motto! but my fave is the family quote. These look so fun, they run the gamut from whimsical to elegant. They have so many fun designs, the hard part would be only spending $50.00. My youngest daughter loves butterflies. 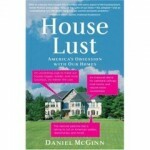 The Stylish House’s last blog post..Beautiful Historical Victorian Homes! A decal (or two) have been on my wishlist for a while now. The only problem I’ve had, is that there are so many beautiful ones, that I can’t make up my mind. I love that decal of the bird on a branch. So pretty…! I enjoy joining in on this party ans seeing all of the inspiration out there. Thanks, Julia! That airplane decal is great! I love Dali Decals. I have one that says Dare To Be Remarkable. My husband wants the atomic bomb for a toilet. I said NO WAY! hahaha! Love the family sign decal! Dawn’s last blog post..Inspiration Day! this is my first time to the Friday party…what a happy spot…such artistic decals too! I love the decals! I’m searching for the perfect one for our office wall. Love wall decals!! I especially love the swirly one!! Decals are such a fun way to decorate a space! FROM THE RIGHT BANK’s last blog post..Crazy Idea #? : A Makeover In White Leather? I just found this wonderful place of yours 🙂 I enjoy reading all the neat information that you have collected! There’s a fucshia pink wall in my teenage daughter’s pink, white and black bedroom just crying out for a stunning black decal! Thanks for hosting the party. I’ve been a silent fan and am now getting braver. I know I’ll find new blogs to love among your ‘guests’. Great giveaway! I’ve been looking for some great bird decals for our home. I get a kick out of the toilet decals, so funny. Jamie’s last blog post..Sewing room, before and after. Ooh, fun giveaway! I’m doing my son’s bedroom in airplanes, so that one would be great! I can’t stand how much I love these decals! I’ve alredy got some picked out for particular places in my house. Now where’s my credit card? Thanks for a great post, and what a fun “hooked on” party. I’ll have to enter in some time! Great giveaway! I love these decals. Yesterday I was looking at that site and lamenting that although I have a new condo with beige walls, I don’t have enough money to purchase anything from Dali’s. I’d love to be able to purchase something before my parents come to see my new (and first) place! My mother’s an interior designer so she’d be tickled pink!! I love decals! I have Dali’s Bob Marley and another one I got from etsy (the Dandelion in my daughter’s room!!)!! I love the *cherry blossom* decal! I love the bird and tree!! These decals are awesome! I love decals for children’s rooms! Dali has some really cute designs too. Love the Dandelion Blowing in the Wind. Thanks Julia for hosting this blog party!!! I am loving their new decals!! I can’t wait to add some in our new house!! Great decals! Love the birds on a wire and the toilet ones are really funny. Thanks for the link! Love the decals. That airplane is awfully tempting as my husband teaches me to fly. It’s been weeks since I’ve joined the party. It didn’t seem fair to just plug my site in when I couldn’t visit anyone else. So excited to have time to participate this week! Thanks for the shot at these decals, Julia. My fingers are crossed, and I’ll be in touch with you soon. I love the wall decals. Living in an earthquake zone, it’s a very safe decorating option for over the bed! Jane’s last blog post..Chalk Board Party & Chalkboard Give Away! The toilet decals were so funny! I just love decals!! I can’t get enough of them! I want them all over my house. Seriously. These are so pretty! I especially like the branches and trees. They have a dynamic feeling to them. Thanks for sharing! Love them. Would never have thought about dressing up that big plain headboard. That just might work! Would love a decal! I decorate on the cheap, so something like that would be a pleasant escape from the norm! I love vinyl decals. I have a sweet WELCOME that I adhered to my front door. It looks great! I’d love more for other areas in my home. I would love to win this gift certificate. Thanks for the giveaway. HOLY decals BATMAN! Those are awesome. I wish I known about those toilets ones for Father’s Day. 🙂 I really like the US map and the Side Table decals. OH MY WORD – I just saw the toilet decals…I think I am going to have to get one of these and put it in place while hubby is out of town…this would be histarical!! Those potty ones are clever !!! These are so cool, Julia! Love the one of the bird on a branch! I’ve been wanting to try decals for a while. What a great giveaway! It really is amazing how creative you can be with all of these wonderful resources. Thanks for the info. I have used wall decals before but, mostly for kids or cutest things. I love these! Diann @ The Thrifty Groove’s last blog post..Don’t forget free chocolate today! Thanks for the great giveaway Julia! I love using decals!! And would love to win this giveaway. Love these decals!!! There are so many wonderful designs-trying to pick one for my kitchen! I love the cherry blossoms, they are all so beautiful and fun. Great way to add chacter to a room. Thanks! I’ve been looking at these and wondering where I need to put a little bird on a tree! July 2 is my birthday, and my walls are woefully bare. I heart these decals! Truly, madly, deeply. Thanks!!! Awesome! I love the bird on the branch. What a great idea! I have ideas swirling in my head! Off to walk around the house to find a place I can add a touch of whimsy! i love their site and i’d love to win! These are all so wonderful; I especially love the family sign!!! Love the decals! I’m looking for something new to add to our hallway. What gorgeous decals! I’ve been thinking of adding my favorite poem to my entry way hall, but had been planning to paint it (using a projector)–a vinyl decal might be much easier, though! Awesome! I just bought my first house and would love to use some of these to decorate! I had just discovered Dali decals and love them! such a cool giveaway . . . thanks! I love your website. My daughter Erika directed me here. Thanks for all the great ideas. I LOVE THE BIRD ON THE TREE BRANCH BUT THEY ARE ALL MARVELOUS. I FOUND OUT ABOUT THIS FROM FIFI. THANK YOU FIFI. Shell’s last blog post..Yay for summer! Yanno, Mrs. OrDie used decals that she made herself for our transoms. I’m just sayin’… of course, she then sprayed the transoms with frosting but that’s another matter. Love, love, love decals. Hope I win. Those decals are lovely. I didn’t participate this week in the Friday blog party but love to be entered to win the $50 gift cerfiticate. Thanks for sharing. Hope to see you next Friday. I love vinyl wall art! I don’t know one ‘sane’ person who wouldn’t love one of David’s decals. Thanks for the opportunity to win one! Mary Lou’s last blog post..How would you like to make every movie your children watch a ‘G’ or ‘PG’? Wow, those toilet decals are really interesting! I love all the designs though. I’d love to win! Liz’s last blog post..I’m As Happy As A Pig In Mud! I am so excited you shared these with us again! I just told one of my friends about the decals and we are both going to use some for our kids’ rooms! I envision my daughters’ room with two little birds in a tree – so sweet! Love decals and always looking for new ideas! These look great! Dandelion Blowing in the Wind would be perfect for my nursery!! Thanks for the opportunity to win! I am totally hooked on small space design…living in a 1-bedroom has made this a necessity. I would love to add an interesting decal to one of my spaces. I just found your blog and I LOVE it. Love those decals too! I love, love, love your site. I am hooked on houses with you! I also have been drooling over these decals. Mitzi’s last blog post..Scissors, Paper, and Glue–Oh, My! What a great blog! I would love to have some decals in my home! What a fun giveaway! I’d love to have to struggle to pick something out. Love your site I read it daily….hope i win…..
Just so you know, I won’t be back online until after the 5th, so if I do win I won’t be able to respond until then. Soo lovely–I love the bird on a branch! I have some wall words that are great. I’d love to add some decals too. I love all the quotes. I am really enjoying your blog. Thanks for making it so much fun! I would love to win a decal, please enter me in! Hope that I am not too late. I love the decals. Please enter me. I love the branch with the bird!! very great touch!! is there another way that I could get this? I really love this! !